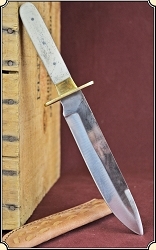 For the collector of the Pacific Theatre of WWII, this Fighting knife is in perfect condition, no breaks, pitting or rust only a beautiful patina. Washington works, Sheffield. 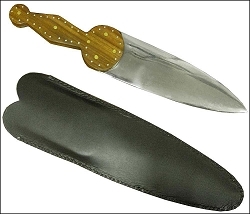 Made to trim Horses Hooves during shoing this great knife is fine addition to your collection. 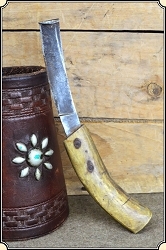 Made of Carbon Steel, with bone handle, measures 11 inches overall. Brown leather belt sheath. 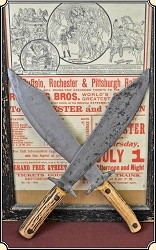 Plains Indian Dagger 420 stainless steel double-edged blade. Wood handle with brass accents. 12-3/16" overall. Leather belt sheath. 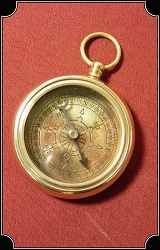 A 3 1/2 in. 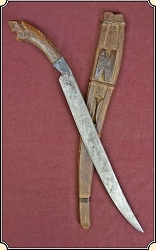 blade folds into the finished wooden handle. 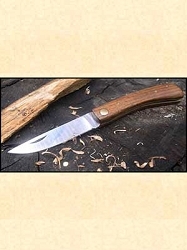 Whether you're cutting a length of rope or whittlin a charm, this knife gets the job done. 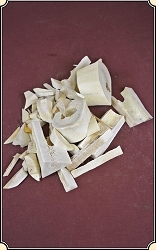 Ash handle for houghing tomahawk . The perfect replacement for a old or worn handle.